From the Cenaculum, to St. Lawrence in Rome, to Spain. . . this small stone cup has been tenaciously protected and revered for centuries. This week on the SaintCast we interview Janice Bennett, author of "St. Laurence and the Holy Grail," a book that traces the history of the Holy Chalice of Valencia, the reputed Holy Grail that Christ used at the Last Supper. Mrs. Bennett describes her search for the Holy Grail that brought her from libraries in Madrid, across the Pyrenees to the small agate cup guarded and preserved as the sacred chalice Christ used in Jerusalem at the Last Supper. Paul talks about his recent trip to Washington, D.C. for the March for Life. Also, hear news of new Saint Causes from England and the story of a newly found relic cloth with 365 saint relics in Buffalo, New York. 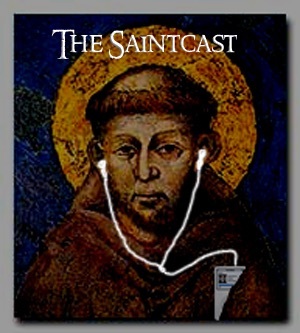 Mail, feedback, a Saint Joke, and more on this week's SaintCast.